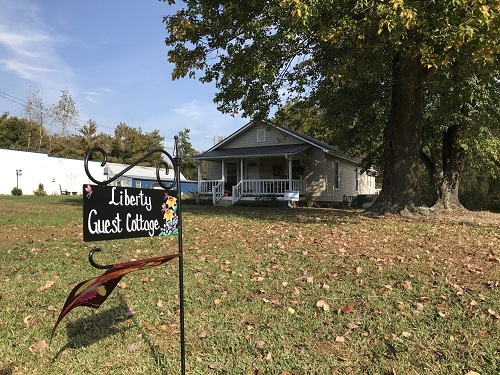 Built in 1941, the Liberty Guest Cottage has been thoroughly renovated into a quaint and cozy home away from home. Conveniently located off of Hwy 421 Bypass on Hwy 49 N just outside of the Liberty Town limits. This cottage is situated on a one and a half acres with privacy fencing and a back patio overlooking a future Pollinator Garden and Wildlife Habitat area.